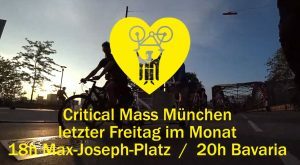 Critical Mass is a worldwide cycling event held on the last Friday of every month, when cyclists meet as if spontaneous for traveling as a group through the city on our bikes. Just by cycling we show that “we are traffic” and celebrate modern and urban bicycle culture. We are not organised, non-hierarchical and no-one is in charge. Everyone can join in! 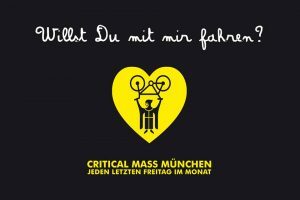 We meet every last Friday of the month at 6 pm at Max-Joseph-Platz in front of the opera and start our ride together at 6:30. We pick up all the traditionalists and stragglers at 8 pm at the Bavaria. 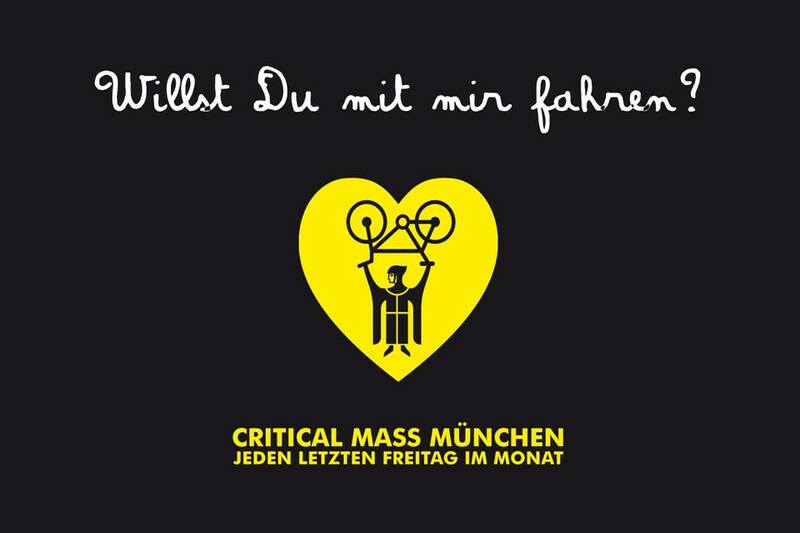 Continue reading "Critical Mass Munich"